Severance packages for former Bahrain Air staff could cost a combined total of BD2.2 million ($5.83 million), unionists said. Ex-employees were expected to start receiving their redundancy payouts yesterday or today, Bahrain Air Trade Union chairman Abdull Raoof told our sister publication the Gulf Daily News (GDN). 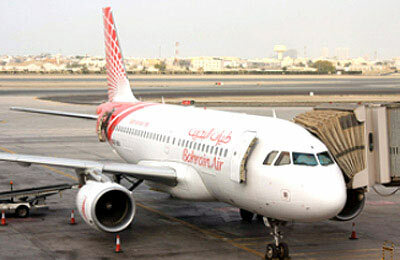 He said the size of compensation packages for the 345 staff, who were laid off after the airline went into voluntary redundancy last month, ranged from as much as BD140,000 to as low as BD700. Details of the payouts emerged during a meeting with the liquidator, Mourad Consultancy, and the Labour Ministry on Thursday. "They said in the last meeting on Thursday that all employees both expatriates and Bahrainis would be getting paid on Sunday or Monday (this week)," said Raoof. "Now the payment that employees will be getting ranges from BD140,000 at its highest and to as little as BD700. Following the last meeting we were told we could visit human resources to get a written confirmation of what exactly was owed to us. We requested this as we didn't want any disagreements after the sums were transferred into our accounts." However, Raoof criticised the size of the payouts after the union failed to secure each employee an additional one month's salary for every year they had worked. The GDN reported previously that staff would get 24 days' pay for every year they worked, as well as compensation for their notice period and leave until the end of February 12 - while expatriate staff would receive their indemnity payments. "I have been working there for five years since the company started and I am getting BD2,500 as a settlement," he complained. "I have heard some working there for only six months are getting BD711, which seems very disproportional (compared to people getting much higher amounts)." He also complained about the length of time it was taking to pay off former staff, who have had their credit cards frozen and been denied access to their personal bank accounts as part of controversial measures imposed by financial institutions. The measures, which were taken to prevent people running up debts and leaving the country, and are only due to be lifted once former airline staff have paid off outstanding loans - for which they still have to make repayments.